Alpha Dental Team, from left to right: Melissa Flynn, Julie Bhuddiraju, Azam Daneshwar. Ms. Melissa Flynn is an ambitious assistant who has worked at Dr. Ahmed’s office for 8 years. She started back in 2007 and has lived in Nashua her whole life. She is also X-ray Certified and loves helping the kids that come in for visits feel right at home. Melissa also takes the time to educate each and every patient about their oral health and is here for each and every customer that comes through the door. She hopes to have a long term career in Dentistry. 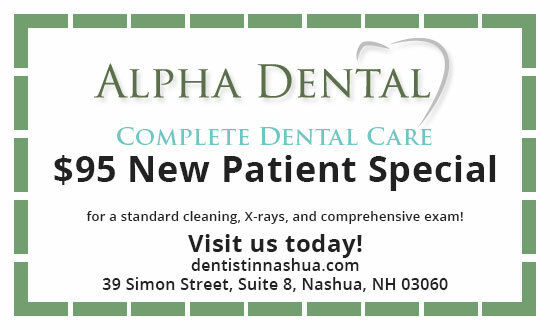 Ms. Julie Bhuddiraju is a dental hygienist, and has worked at Alpha Dental since Dr. Ahmed began practicing in 2002. At first an assistant, Ms. Bhuddiraju was inspired by the joy of caring for patients that she studied and Graduated from NHTI with a Dental Hygienist Degree. Julie is passionate about family dentistry, but spends her time outside the office caring for her family and pets. She enjoys horseback riding in her leisure and holds a deep love for animals. Mrs. Azam Daneshwar is our manager here at Alpha Dental she has a bachelors degree in Accounting and was an auditor for 10 years. With her detail oriented guidance, she ensures that every patient receives the best care possible from the moment they walk in to the moment they step out. Azam has worked with Alpha Dental for over four years. She lives in Nashua with her husband and daughter. In her spare time she enjoys gardening in her own family garden and traveling to exotic new places with her loving family.